A dark ruby/purple color and a bouquet of plums, black raspberries, licorice, roasted herbs, and incense are followed by a medium to full-bodied, rich, structured, backward wine that requires 6-10 years of bottle age. It should drink well for two decades. 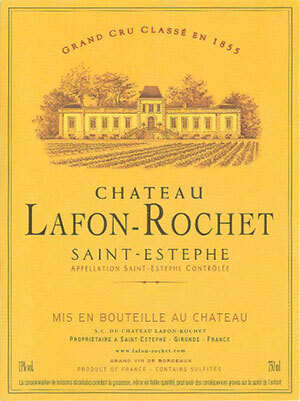 For some reason, Lafon Rochet remains under-priced for the quality of wines it is producing. A very dense, slightly broody nose with faint scents of blackberry, hedgerow and cedar. The palate is full-bodied and full of freshness and vitality, puissance but with a certain lightness of touch. Fine, filigree tannins, quite feminine with superb focus and nervosity. Great length: this is a 2005 with loads of promise with a firm â€œgrippyâ€ finish. It needs time but still an excellent, a Lafon-Rochet showing its real potential. Drink 2015-2025. Tasted October 2007. Has notes of blackberry, with Indian spices and green tea. Full-bodied, with velvety tannins, a silky texture and a medium finish. Balanced and very refined. A beautiful young wine.